Clean engines function at peak performance. This is an inescapable rule. Bell Performance multi-function products such as MIX-I-GO and DEE-ZOL contain powerful detergents to clean combustion chambers, injectors and fuel systems while providing outstanding benefits for fuel mileage and performance improvements. Other Bell Performance products are formulated to address injector deposits and oil sludge deposits. 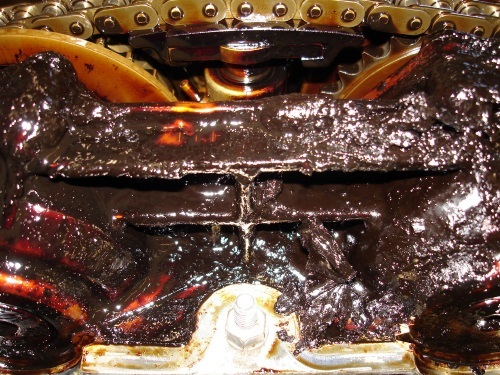 Consider using a fuel treatment or fuel additive oil cleaner to remove sludge and clean fuel injectors. BELL PERFORMANCE INJECTOR CLEANER - powerful one-dose injector treatment formulated to remove performance-robbing injector deposits in one dose. BELL PERFORMANCE ENGINE FLUSH - removes harmful oil sludge buildup from your engine's lubrication engine, promoting clean lubrication and extending engine life.